Toronto: A shiny new Islamic art museum and cultural center will open in Toronto next week, becoming the first of its kind in North America. Bankrolled by Prince Karim Aga Khan, the spiritual leader of Ismaili Muslims, the facility will feature more than 1,000 artifacts – including rare scriptures of the Quran from the 7th and 8th centuries. The $274 million Aga Khan Museum and adjacent Ismaili Center are sprawled over 6.8 hectares, hoping to cater to Muslims and others interested in Islam’s rich history. The goal is to attract up to 2,50,000 visitors annually. “We hope that this museum will contribute to a better understanding of the people of Islam in all their religious, ethnic linguistic and social diversity,” the Aga Khan said in a statement. Most of the artifacts come from the prince’s family’s trove, showcasing the achievements of Muslim civilisations from Spain to China, said museum director Henry Kim. At a preview yesterday, a piece of carved marble from 10th century Spain was among the works that sparked particular interest. The chiselled building that houses the museum measures a massive 10,500 square meters (113,000 square feet) and boasts a 350-seat auditorium with carved wood panels. Six artists from Pakistan who specialise in miniature art, music and performing arts will be present at the opening. Going forward, the museum plans to host travelling exhibitions, concerts, as well as international conferences and seminars. “Canada is a model and global hub of diversity, ethnicity and inter-mingling cultures so Toronto became the natural choice for us to set up a modern cultural center showcasing Muslim civilisations,” said Luis Monreal, head of the Aga Khan Trust for Culture. 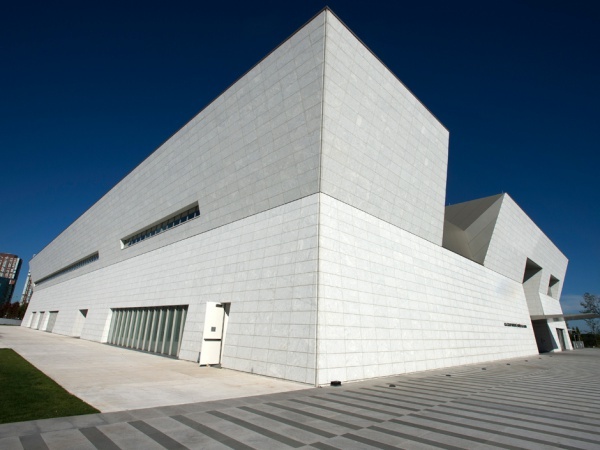 The Aga Khan Museum is part of the Aga Khan Development Network, which has its footprint in several countries.